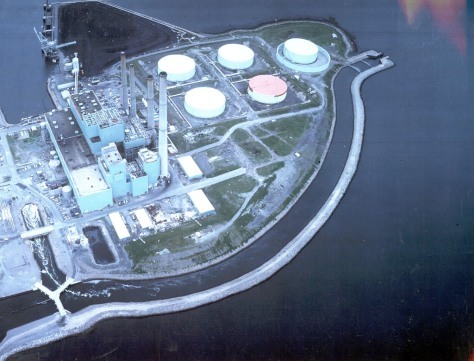 The Brayton Point Station power plant in Somerset, Mass., is one of hundreds across the U.S. that takes in river water to cool steam, in the process sucking in fish. The narrow channel seen here is discharge water. The plant's owner last December agreed to build cooling towers that will reduce the need for river water.